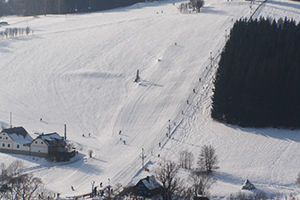 The mountain range Žďárské vrchy offers a wide range of activities, not only sport activities, but also cultural ones. The location of the cottage at the edge of the built-up area makes it also an ideal place for lazing about. Sněžné is interwoven with tourist paths. Nothing prevents you from setting out on foot or on a bike to the rocks. Nearest to the cottage is the rock Drátník towering above the village of Blatniny, a little further you can find the rocks Čtyři palice or, for example, Pasecké skály. Swimming in summer, skating in winter. There are several places in the surroundings where you can go. The pond Milovský rybník is the nearest and the ponds Medlov and Sykovec are only a few kilometres away. 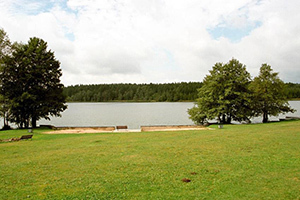 If you love windsurfing, be sure to go to the pond Velké Dářko. 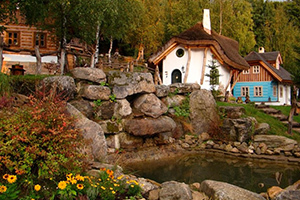 Especially parents with children or grandparents with grandchildren will appreciate visiting the popular Fairy-Tale Village in Podlesí. A pleasant walk will take you back to your childhood. The region of Žďár is, of course, a paradise especially for lovers of cross-country skiing. The nearest track is basically behind the cottage. A map of cross-country skiing trails and the current state of cross-country trails. This most distinctive building of the so-called Baroque Gothic style, which is a work of genius built by the architect Santini, is certainly worth a visit. The Pilgrimage Church of St John of Nepomuk at Zelená hora has been on the UNESCO World Heritage List since 1994. Check out if it is true that the world is best viewed through the ears of a horse. Apart from horse rides, the club offers also a restaurant with a garden, a zoo park and a spacious playground for children. 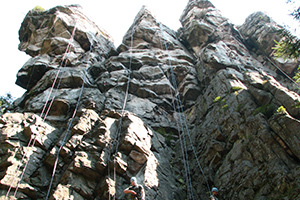 The largest nature entertainment grounds in the Czech Republic are within your reach. 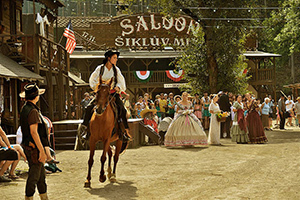 You can enjoy theatre performances, western shows, dances and many other events at the mill Šiklův mlýn. The Vysočina Arena does not need any introduction – the heart of Nové Město na Moravě beats for biathlon. 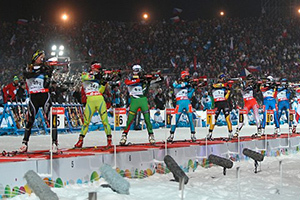 You can cheer the competing sportsmen, enjoy cross-country skiing, ride a mountain bike or simply enjoy the atmosphere. 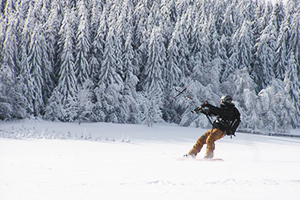 It is probably the most popular place for those who enjoy the adrenaline rush while skiing with a kite. A little bit of art will do no harm. If you do not go to one of the oldest museums in the Czech Republic – in Hlinsko, try the local galleries. 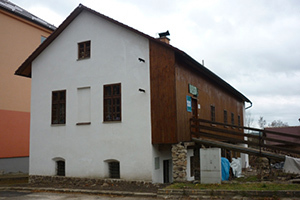 There are two galleries in Sněžné. 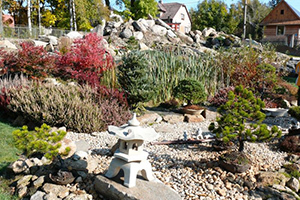 A Japanese garden is open all year round in Sněžné. Apart from a tour of the garden, you can buy bonsais, bonsai pots and pottery. 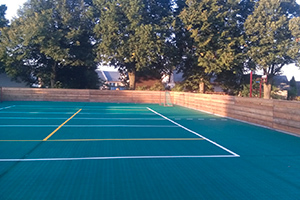 The Sokol gymnasium in Sněžné has a children playing area for ball sports, ice hockey, inline skating and many other activities. 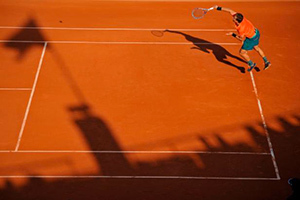 Fans of the white sport can enjoy a game of tennis on clay courts in the Sokol gymnasium in Sněžné. 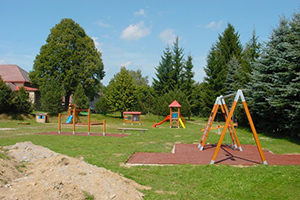 If you have small children and our garden is too small for them, we recommend that you visit the spacious children playground which is situated again on the grounds of the Sokol gymnasium in Sněžné. The playground is free. Are you fans of history? 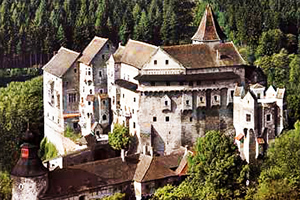 Visit the Pernštejn Castle and go back in time to the Middle Ages for a while. The road around the Vír reservoir offers beautiful views.